When Cado Fairchilds died, he left his estate to his wife, Mary, who has it appraised so she can sell it and return to England. Sadly, her property consists of eleven slaves and each has a price. 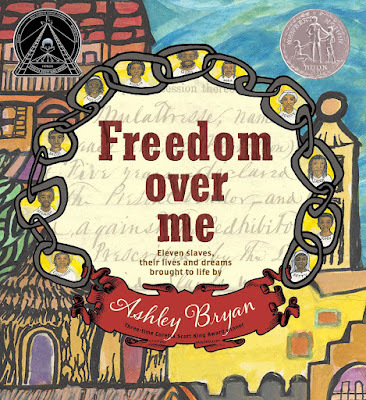 Bryan uses historical documents from the 1820's to the 1860's to give the eleven slaves a moving voice. 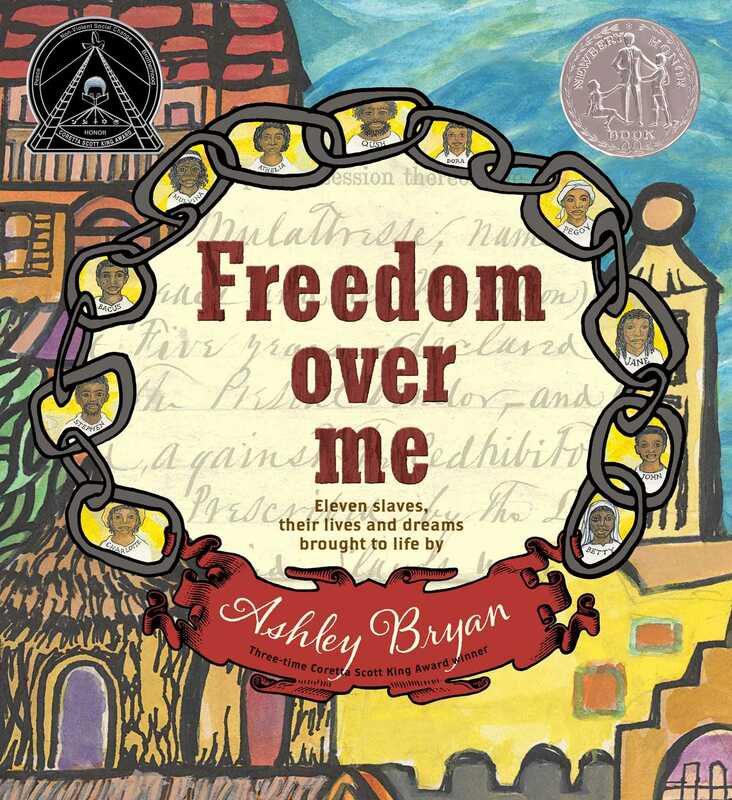 Each slave has a one page spread in which the author uses free verse to tell their story. Bryan imagines their dreams that never come to fruition. Every dream involves freedom from their life as a slave using the talents they have developed. Each picture of the slaves lists their value below and the illustrative backdrops include actual slavery documents. These illustrations drive home the inhumanity of slavery. The bright colors on the dream pages help open the door of humanity, letting the reader see the light and hope the slaves held onto in their darkest times. The final page includes the tally of the property owned by the Fairchilds, a sad reminder that humans were once property. The heart of a child will choose to be uplifted by the slaves dreams and will recognize the inhumanity of slavery. A must read for those who want to understand what it was like to be a slave and not be free to live your dreams.